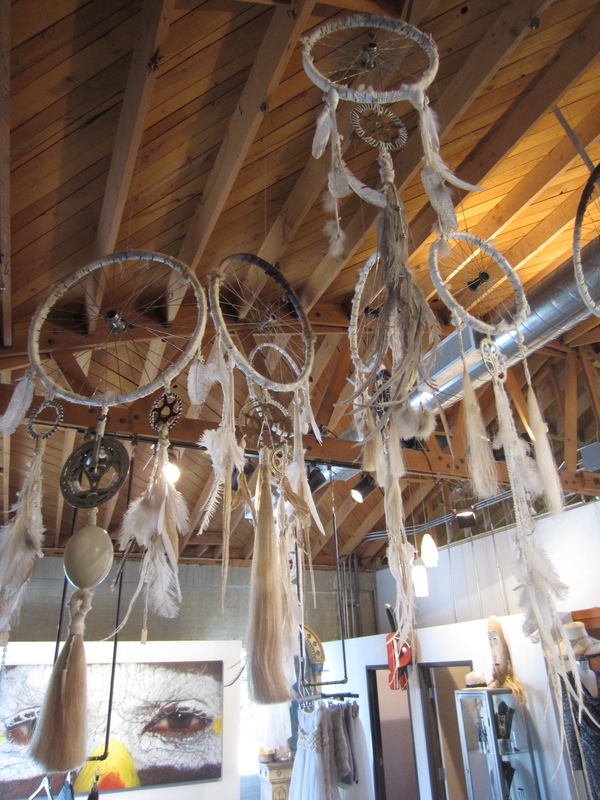 A few weeks ago I attended an opening at Church Boutique in Los Angeles and was wowed by an amazing collection of oversized dreamcatchers hanging from the ceiling. 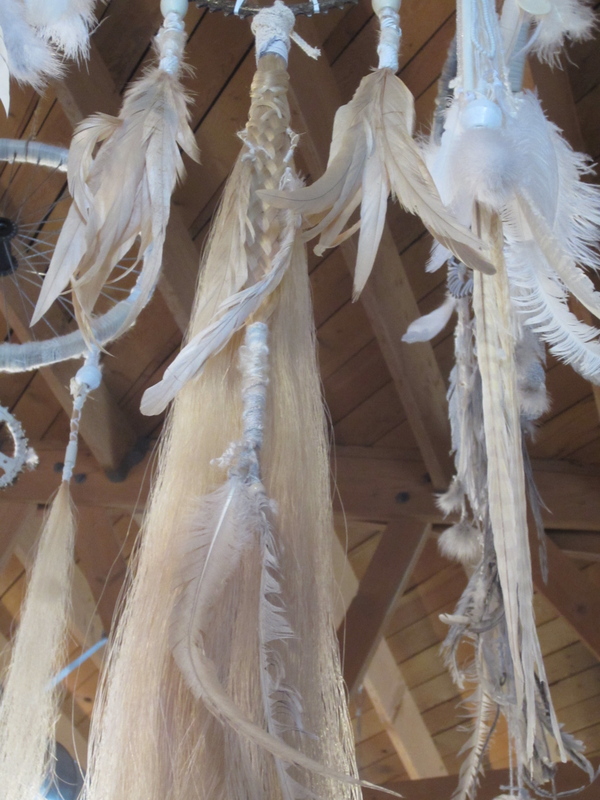 With all of the amazingness that the store had going on, I could only seem to focus on the dream catchers. Next thing I knew, my friend Lisa Guajardo and her design partner Jessica Moss approached me and told me it was their work. 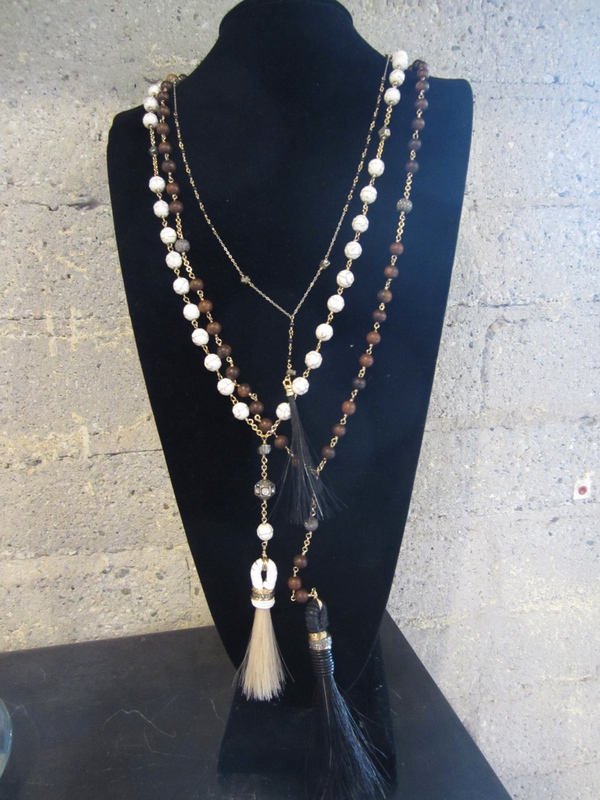 The two ladies have been designing the contemporary women’s collection, Leyendecker, for about 8 years and recently decided to pursue a different creative path in their artistry in the form of these said dream catchers and much more. I was very excited to sit down with the ladies this week and discuss the inspiration for their new line, Texa, and find out more. Their new focus on interiors and away from apparel was a natural move for the both of them as they have had a strong love for interiors and the hunt of found objects for years. The two met eachother 9 years ago and began a collaborative relationship that has stood strong. Each serving as a direct opposite point of view, their creative brains merge in what seems to be a seamless process. In their quest to have more freedom as artists and to produce something with emotion and authenticity, they are now catering to a customer that doesn’t follow the fashion calendar, but rather is looking for something unique and long-lasting. YES!!! When we began to talk about their inspiration and their new ethos, my heart started to race as I have such a deep understanding and connection to their new creative strategy. One that doesn’t fit into any mold, doesn’t have definitive delivery dates, and isnt’ “old” once the season has passed. The train they are now on is the future and I find more and more that this is the new way of doing things. Your own way. The basis of their new interiors lifestyle collection is rooted in the art of found objects, objet trouve, and communicates an aesthetic of contrasts: sophistication, bohemia, classic style and rock n roll. The name “Texa” is derived from the latin word “to weave”, thus creating the inspiration for their line. 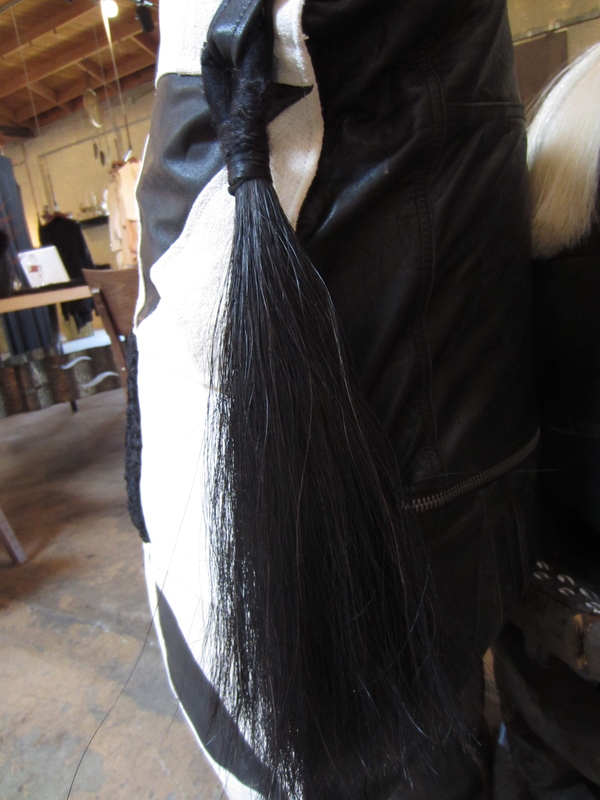 With their two different perspectives, references are “weaved together” to create a very unique luxury product for the modern day bohemian. Lisa and Jessica have a love for the hunt and have collected treasures most of their life which led them to the creation of this collection. 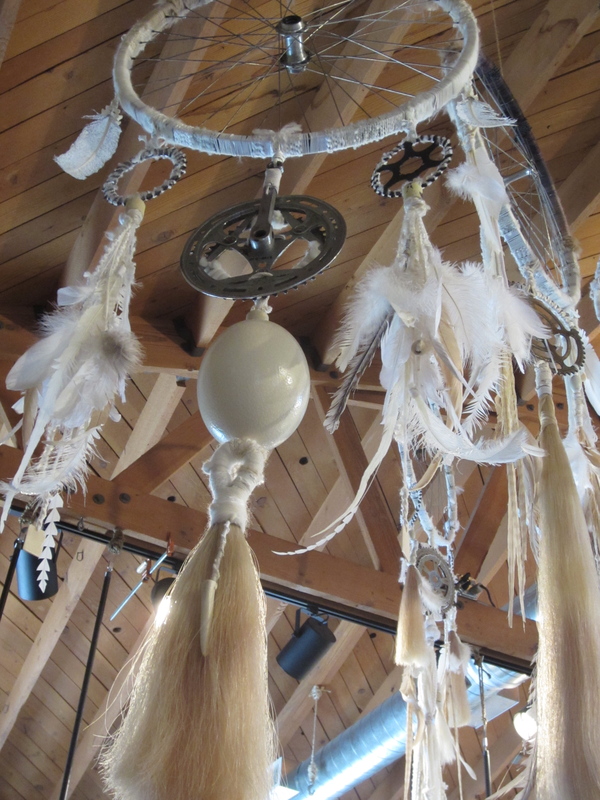 The dream catchers are made with a bicycle tire as the center (hello, genius! 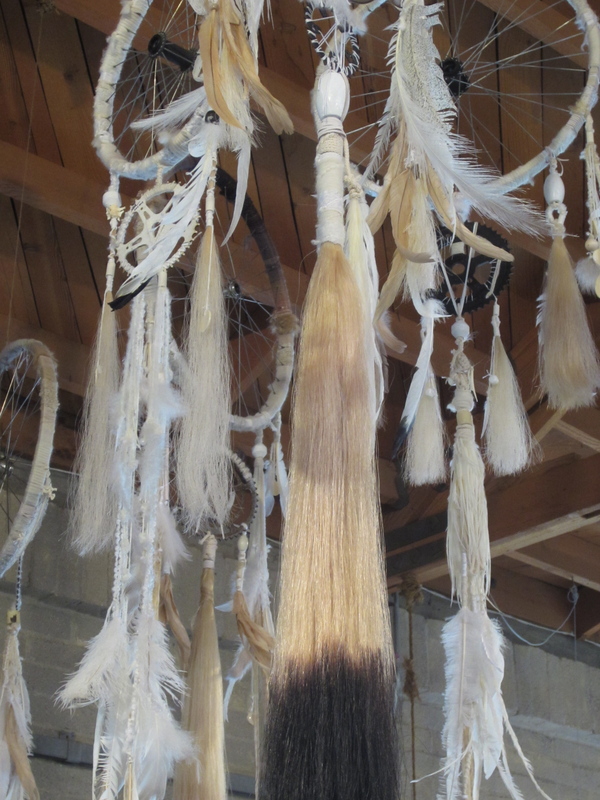 ), and also incorporate leather, ostrich eggs, ox bone poker chips from the 19th century, egret feathers from the 1960′s, bike chain holders, bones and are finished off with hand wrapped and dyed horsehair tassels. 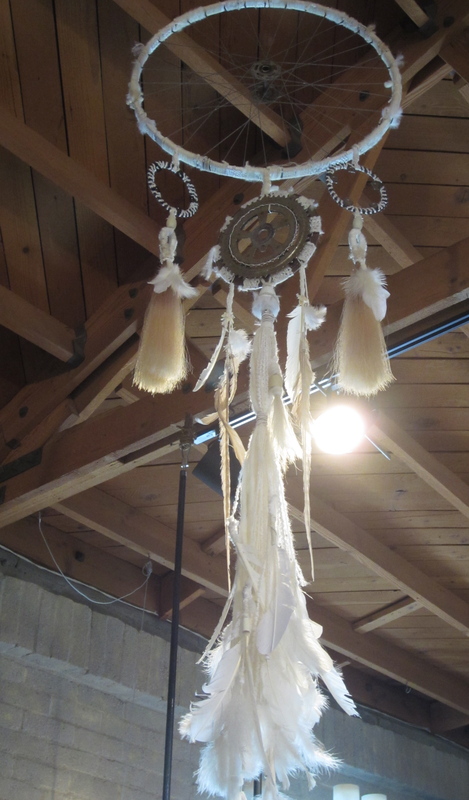 Texa Collection started with the oversize dreamcatchers and sparked inspiration to create a lifestyle collection to include pillows and jewelry to satisfy their customers’ thirst for this aesthetic. Creating product that has longevity and usefullness is extremely marketable in this retail environment and leads the movement of buying based on emotional connection rather than trends. 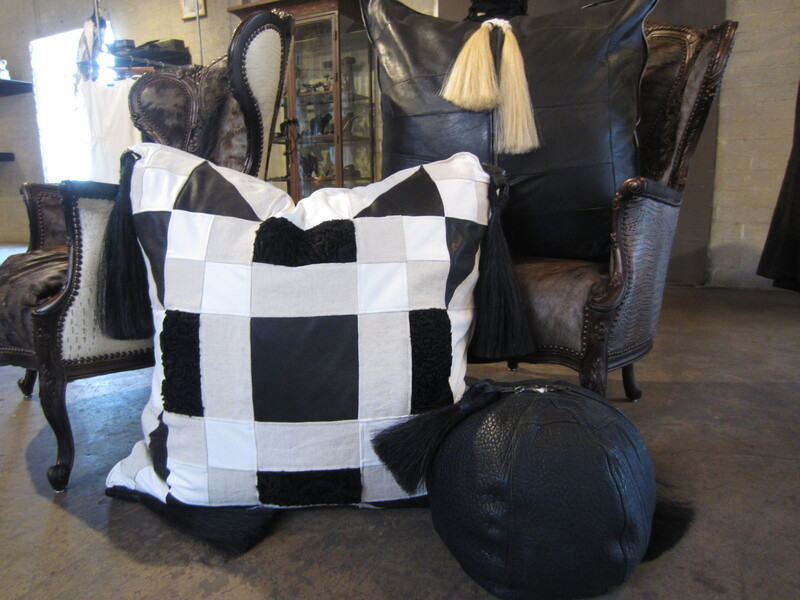 Their pillows are also created from found fabrics and weaved together to create a ying/yang of the past and the future. 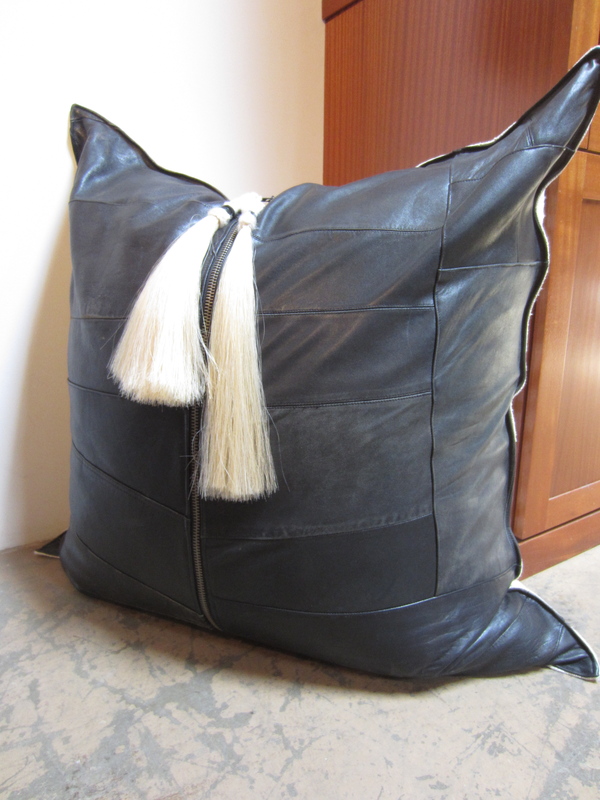 Materials used are vintage moto leather jackets, 100 yr old french grain sack, persian lamb and horsehair. 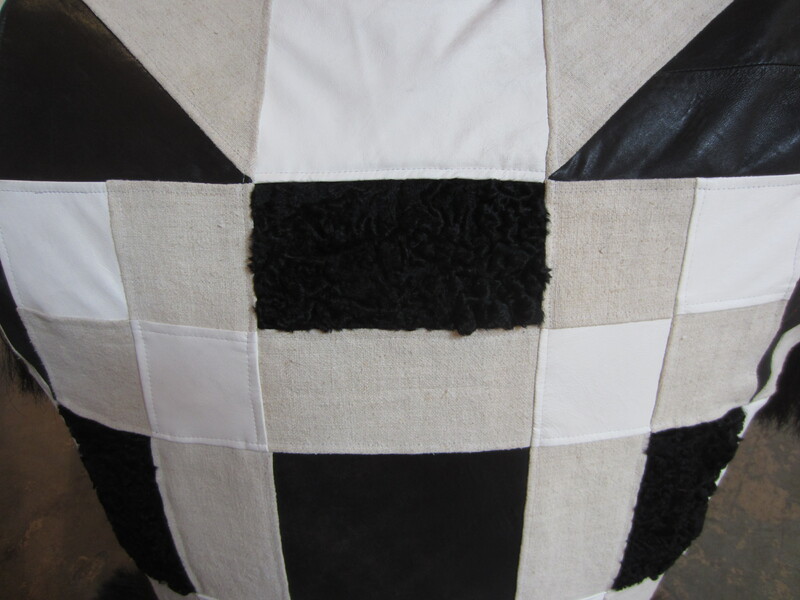 Modern patchworking with persian lamb, leather and french grain sack. A distinctive quality in their pillows will be their unique shapes and sizes. From here they will also begin to design quilts, chair cushions and much more. The price range of the pillows is $1000-$2500 depending on elements and size. 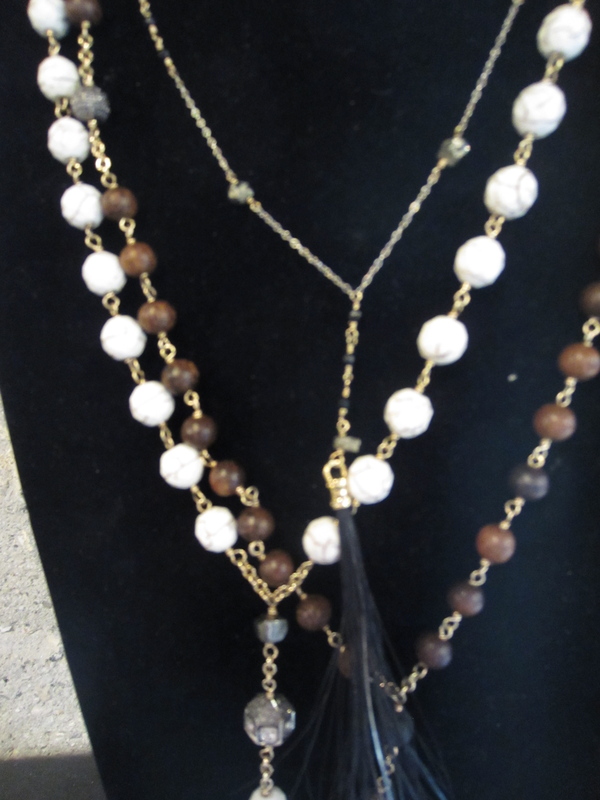 They didn’t stop there…..their collection also branches into accessories that are inspired by rosary/prayer beads. 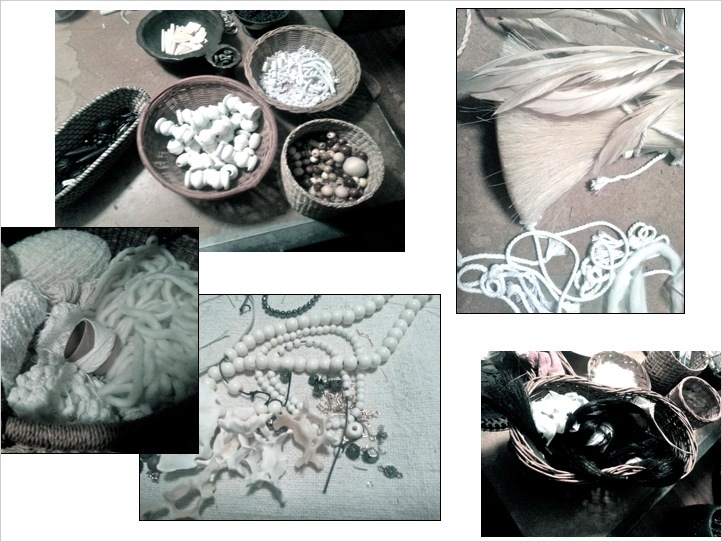 They wanted to take the handmade quality of their work and design jewelry that will also communicate their vision. 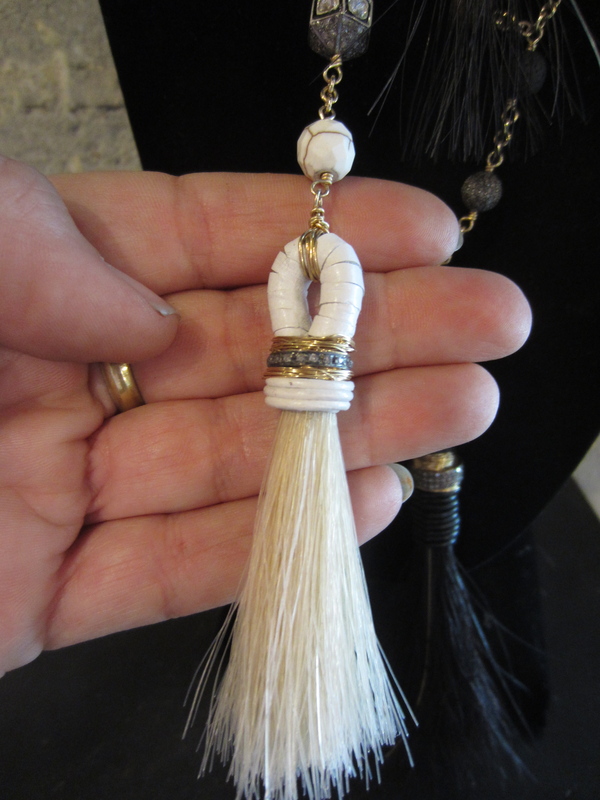 Rather than a cross or religious totem at the end, they attach their signature horse hair tassel to add whimsy to the delicate nature of the gemstones they are using. 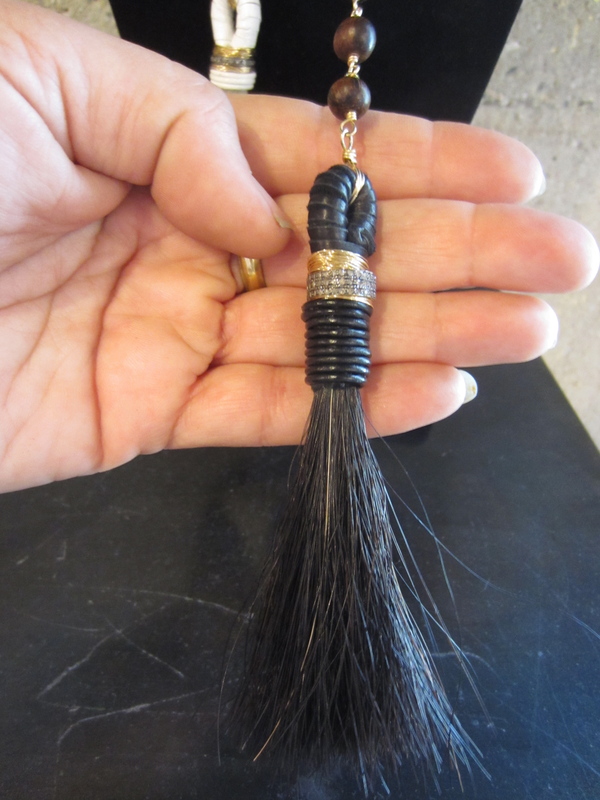 The necklaces are 14k gold plate and elements include pave diamonds, leather, wood, pyrite, magnesite and of course their signature horsehair. Prices range between $1000-$2500 depending on the design. 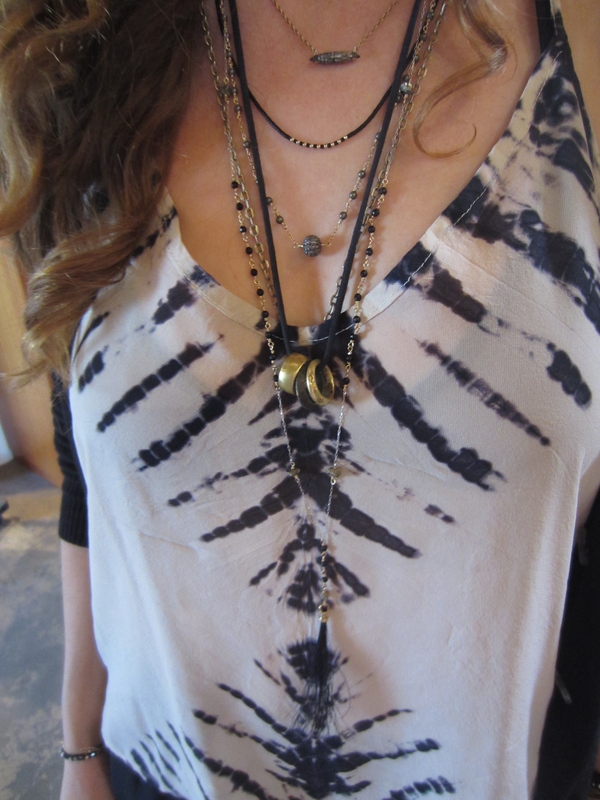 I love how these necklaces look layered and Jessica was modeling them in the perfect style. This is only the very beginning for Texa and I am so excited to see where they take it. The possibilities are endless and their customer base is only going to grow as quality and design wins over mass production and consumption. Their current collection can be seen at Church Boutique and you can also visit the Texa website for more.